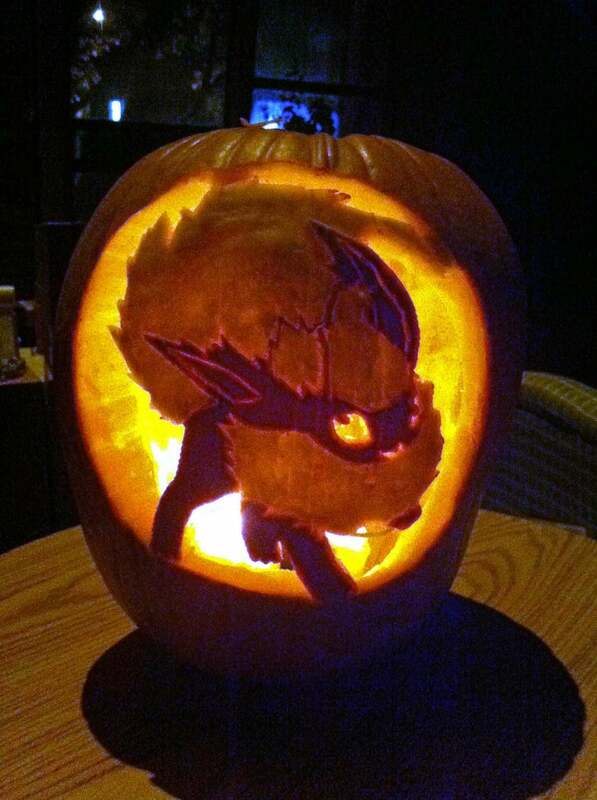 To prepare for and to start off this full week of #Eeveetober, Aaron, one of the editors, made this awesome Flareon pumpkin. Pretty sweet! Tomorrow is Flareon's day, and all week will be awesome. Let's try to trend #eeveetober. We can do it! Blow up twitter or we will blow up this fancy pumpkin... maybe.